The Director of Music is always pleased to meet prospective choristers (from the age of six-and-a-half) and their parents at any time during the year. The audition process for a choristership is informal and you can find out more by submitting the form below. Please remember that we are looking for potential and not the finished article. 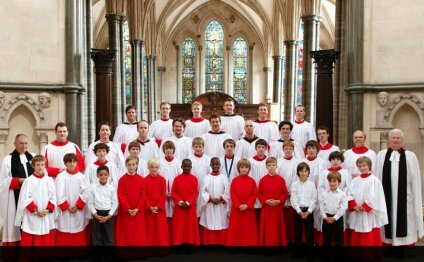 Boys start their time in the choir as pre-probationers and probationers, a period when they learn to be choristers. Each boy is given individual singing and musicianship lessons from our first-class singing teacher and musical staff, and is taught music theory and performance in small groups. After a reasonable period, he will be put on contract and become a full chorister. The choristers rehearse most days after school and come together for services, concerts, broadcasts and recordings. The choir has even toured to Brazil and the USA. The Majest of thy Glory, the Temple Church Choir’s latest CD is now available. Please click here to order. Choristers enjoy many social occasions – trips, parties and other social events – and make lasting friends. Once on contract, Choristers receive an academic scholarship to the value of two-thirds of the fees of the City of London School for Boys. Although most boys attend the City of London School, the scholarship can in fact be used at any school of the parents’ choosing, subject to selection by the chosen school.